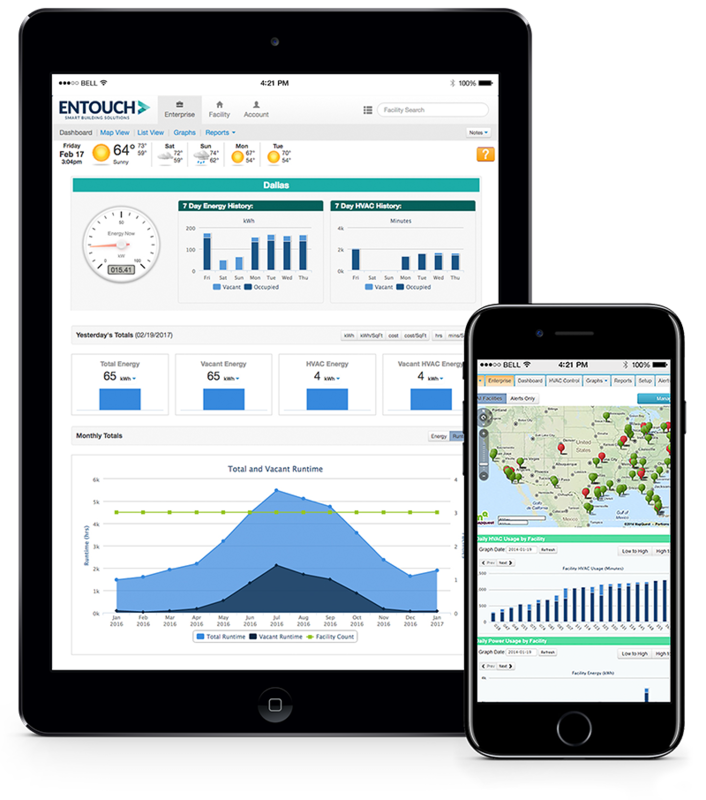 ENTOUCH.one solves the IoT challenge for facilities executives providing a single platform to connect your entire facilities portfolio across locations and operations for streamlined business processes, increased efficiencies and simplified budgeting and planning. At the core of the ENTOUCH.one platform are technologies to interrelate data, facilitate control, and provide seamless integration to your HVAC, lighting, utility billing, Computerized Maintenance Management Systems (CMMS), ticketing and case management and legacy technologies. You can extend ENTOUCH to any system in your facility ecosystem. Our flexible architecture and robust open APIs allow ENTOUCH customers to harness the true value of the IoT. ENTOUCH customers can leverage the open API framework to facilitate the answers to today’s pressing business needs and, more importantly, to future proof their investments with the knowledge that ENTOUCH’s application enablement platform was designed from the ground up to support the interaction and the integration that any true IoT strategy demands.